Marc Charisse, Civil War buff and editor of The Evening Sun in Hanover, Pa., and I livetweeted a Gettysburg battlefield tour on June 2. 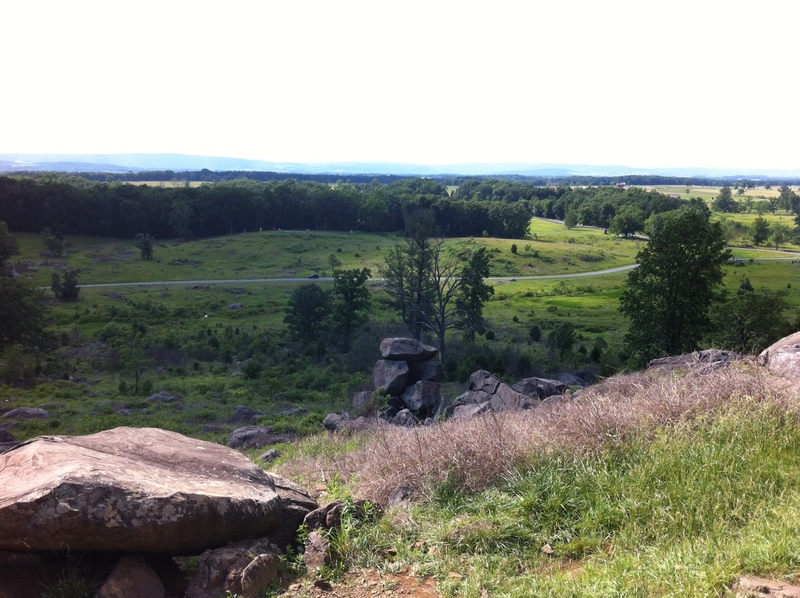 This is why Little Round Top was important: You can see the whole Gettysburg battlefield from there. I wonder how many different tours of the Gettysburg National Battlefield you can take before it starts getting old. I took a bus tour with the Pennsylvania Press Conference Saturday, my fifth tour, and heard a perspective I hadn’t heard before. Richard Goedkoop, our guide, covered lots of battlefield history I had heard before. But he provided a different twist, tailored to the group of journalists he was leading. More on Goedkoop’s tour shortly. But first, I’ll review the other ways I’ve toured the battlefield.